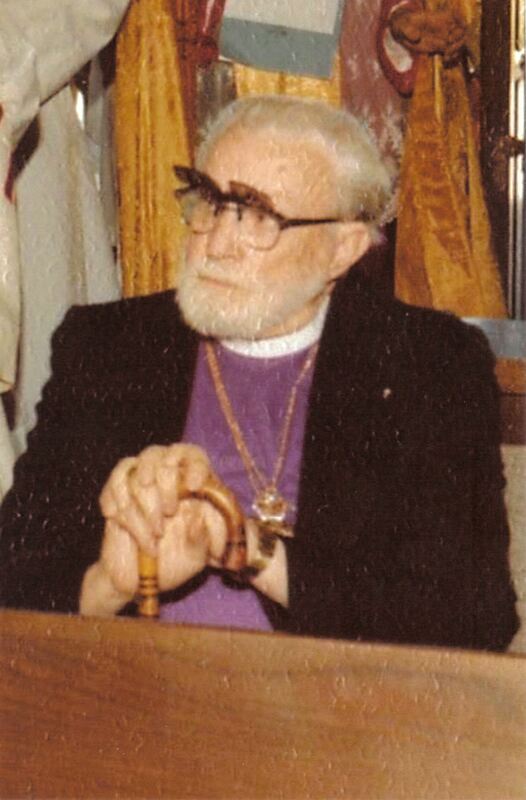 The photograph of Bishop Harry Brewster Carpenter above was taken on 1 April 1978, when he attended a consecration service. Harry Carpenter was consecrated bishop by Prince-Abbot Edmond II assisted by Archbishop Emile Rodriguez y Fairfield on 15 November 1963, and was given the title Mar Veritas. For a time he served as Chancellor of the Order of the Crown of Thorns. Carpenter, who supplemented his living from the church as owner of a print shop, was attached to a small cathedral in Las Vegas, Nevada, established by the Syro-Malabar Church under Mar Anthony Devan in the 1930s. Mar Anthony came from India to the United States as a result of the activity of the Church of England in attempting to convert his co-religionists to what had become the state church in British India. He sought to find members of the Mar Thoma churches living in the United States and having done so, established the American Eastern Orthodox Church around 1940. Mar Anthony consecrated Thomas Martin, who succeeded him as head of the jurisdiction, but on Martin’s death in 1979 the church became inactive. Our Archive includes a black silk cape of office that was gifted to Bishop Carpenter by Prince-Abbot Edmond I. At a later service of commemoration, Bishop Carpenter was directed to wear this cape “to honour the memories of those who pioneered our cause”. One of those commemorated at the service was Archbishop Frederick E.J. Lloyd. Carpenter died on 21 May 1986.